Master Box Dimension : 25" X 16" X 21"
Help build a building using this awesome friction powered crane truck! 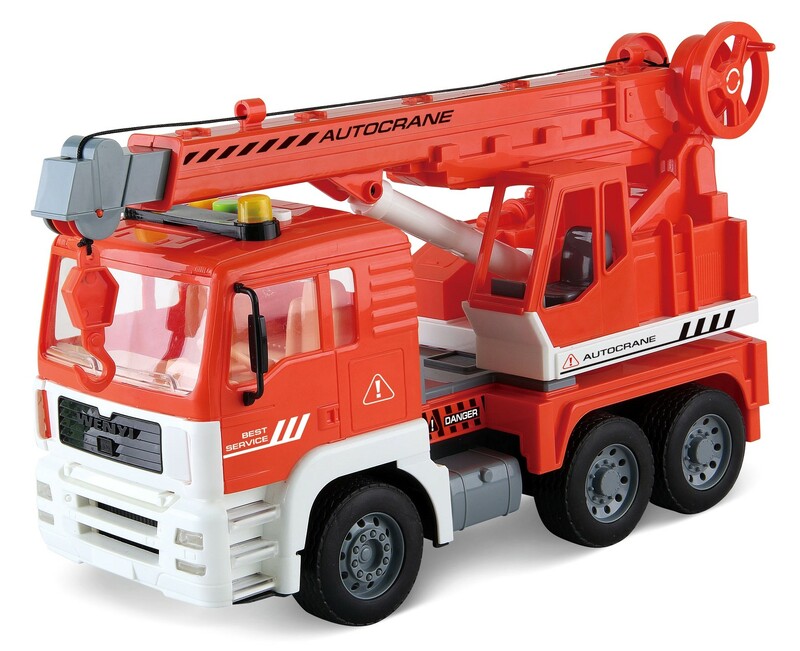 The extendable crane arm creates a nice motion and a unique feeling for kids playing with it! The crane be rotated right or left making it realistic as possible! It is friction powered so when you roll it, it'll run!